I love futuristic estimates of what world will be in coming years. So often most of those are total nonsense, but from the reviews I understood that this book might be different. 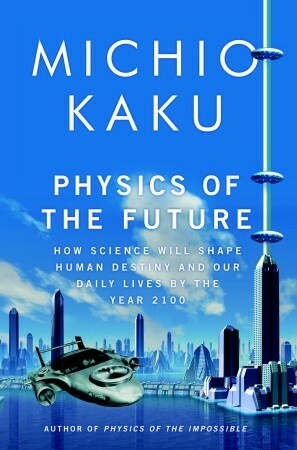 I was eager to Michio Kaku's book Physics of the Future. Even though the idea of the book is to guess future, Michio Kaku does guessing with so much facts about current science and knowledge from the leading experts on their field, that many guesses will happen for sure. Book makes estimates about future of computers, artificial intelligence, medicine, nanotechnology, energy, space travel, wealth and humanity. It gives estimates about all of the subjects for near future (next 20 years), mid century (2050-2070 timeframe) and end of the century (2100). All estimates are based on facts about current situation and from history of innovations. I loved every page of the book. It was interesting to know about current situation about innovations and science in different areas. Also the predictions as such were fun to read. All the time I just kept thinking, will i live to see that happen. Hopefully many of the things mentioned in the book will happen on my lifetime. World needs many of the inventions speculated in the book. I can highly recommend this book to everyone. It is interesting, provocative and raises lot of thoughts. I can't remember when was the last time I hoped that book wouldn't have ended so fast. And the book was more than 400 pages long. I loved it and many others will too.